Established in 2016, Distrii is founded by Dr Hu Jing, a former Chief Architect and Executive Vice President of Greenland Holdings, who has a vision for developing customised-solutions smart offices. Within three years of its induction, Distrii has rapidly expanded over 30 coworking centres in Shanghai, Beijing, Hangzhou, Nanjing and Singapore, serving over 15,000 members from 450 enterprises. We want to expand your world within your office space. Find yourself in an exciting community in Distrii and have access to monthly member lunches, mixers, igniting talks and seminars. We’re partnered with SMEs large and small and our Event Hall has housed networking sessions, team building sessions and even a House Party. 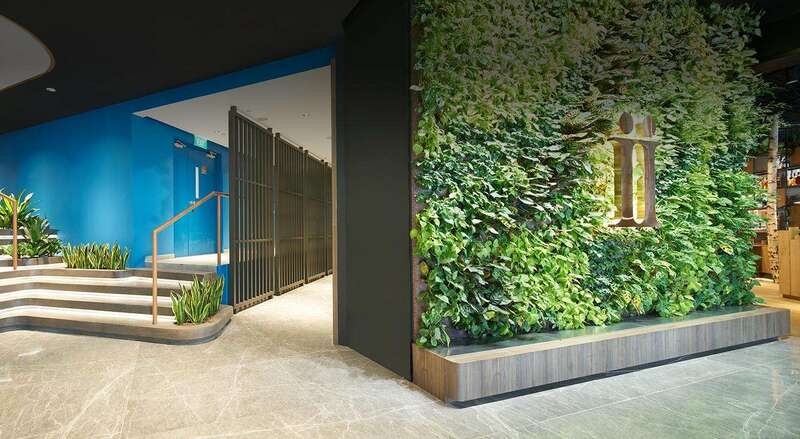 Find out how residential, office and retail industries will benefit from Igloohome’s technology and how it is shaping the co-living and co-working spaces. Distrii pioneering the concept of coworking in smart offices to support flexible and higher productivity work life. There are custom solutions that caters your needs. Well-furnished Communal, Café, Event Spaces. Spacious Boardroom, Meeting Rooms equipped with video conferencing and smart boards. The Distrii proprietary mobile app, integrates business solutions into a single, hassle-free platform, designed to boost your efficiency and work productivity. Subscribe to our newsletter and receive regular updates by email. Please enter a valid email address Thank you for subscribing! Simply get in touch today to arrange a viewing or request more information on our locations.